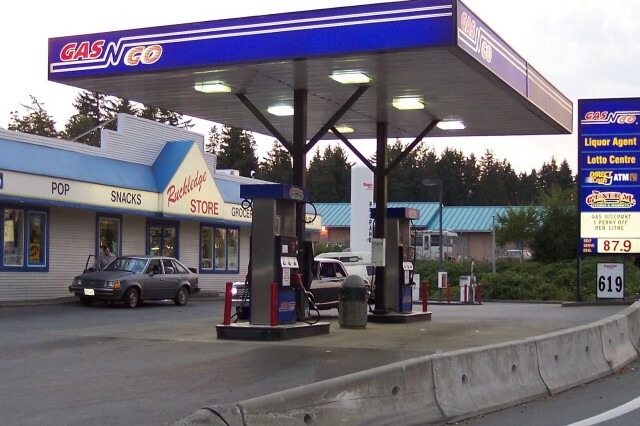 A Gas'N'Go station just south of Nanaimo, British Columbia, Canada. Taken August 15, 2004 by Bart Vogelzang and Glyn Trafford. This is on the Trans Canada Highway. 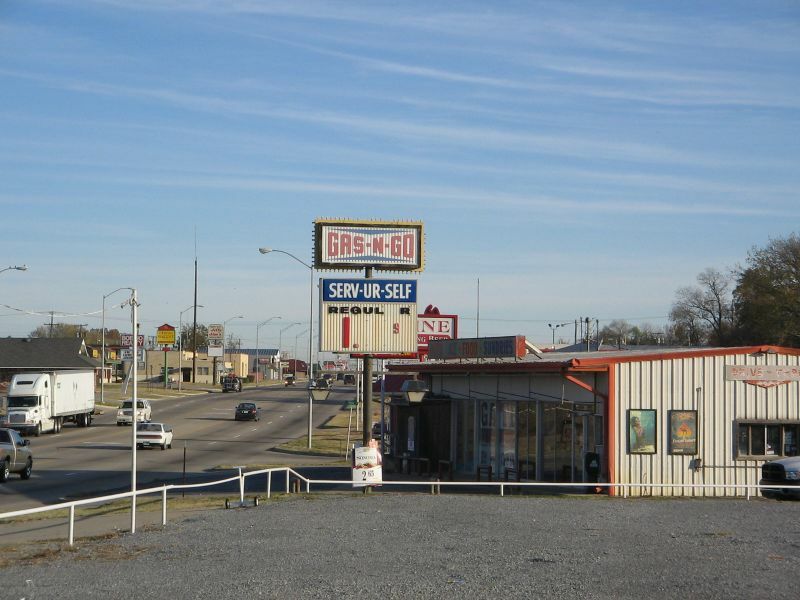 Gas-N-Go located in Choteau, Oklahoma. Only the sign remains. Taken in Nov. 2005 by David Aldred. A former Fisca on Camp Bowie Blvd., Fort Worth, TX. Taken Oct 1997 by Bryan Sherrieb. 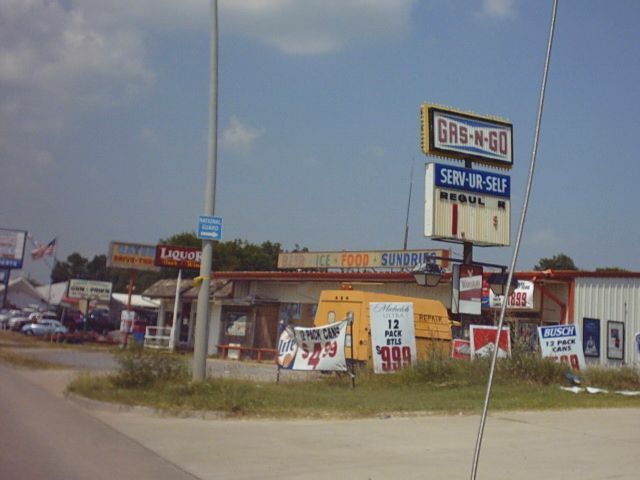 A Gas-N-Go in or near Muskogee, Oklahoma. in 'REGULAR' and both have a single digit 1. Has to be the same place.